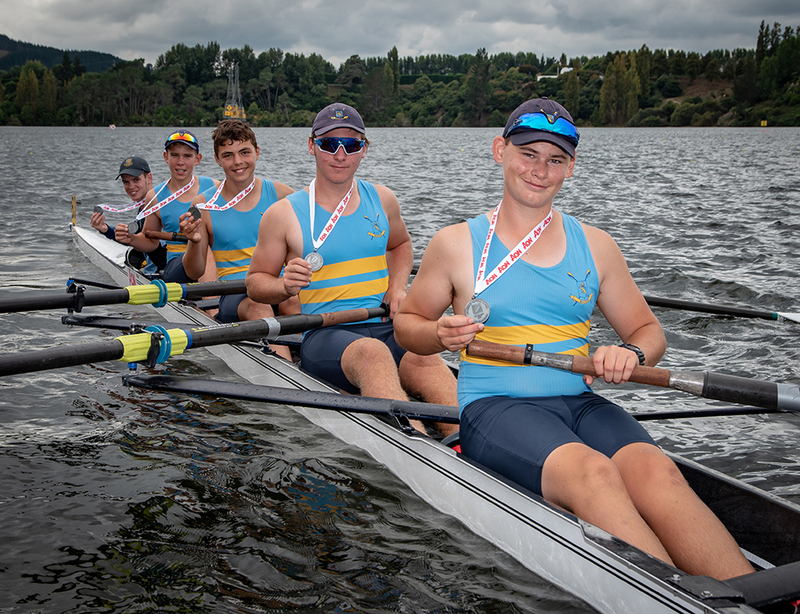 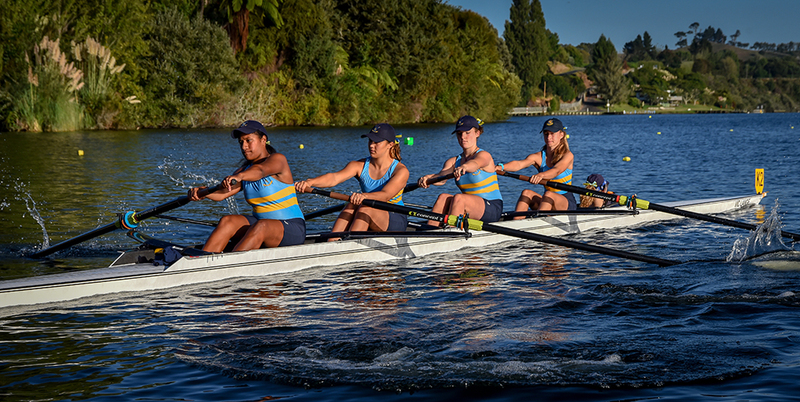 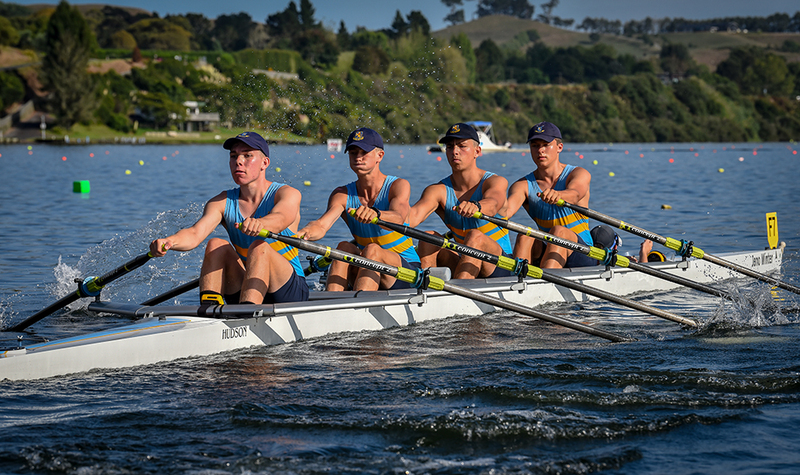 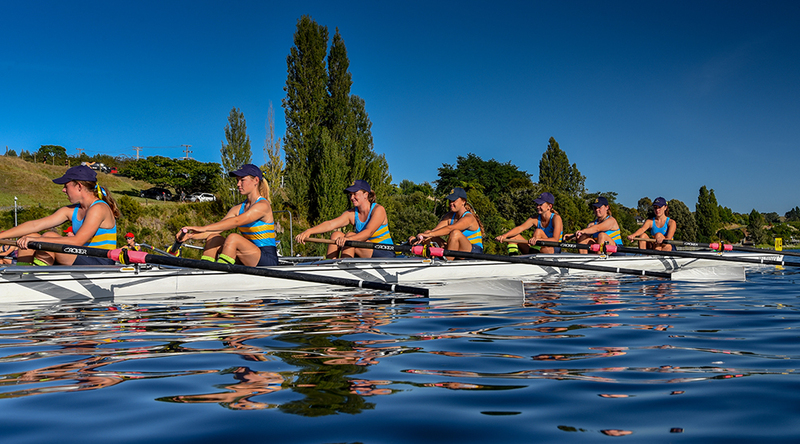 Two Silver medals and seven A Finals capped a successful Maadi Cup Rowing Regatta at Lake Karapiro, with MAGSROW continuing to grow stronger. 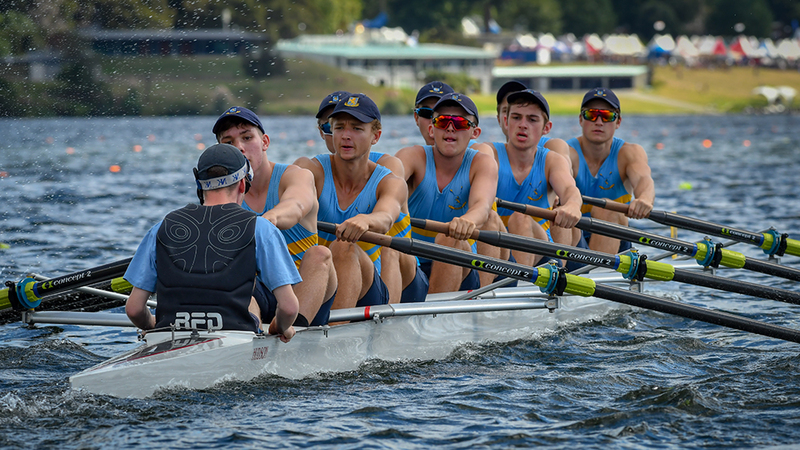 Particularly impressive was the spread of finalists with the Novice Boys, Novice Girls and U17 Girls groups each in 2 A finals (top 8) as well as the U18 Boys 8 finishing 7th in the pinnacle event of the Maadi Cup. 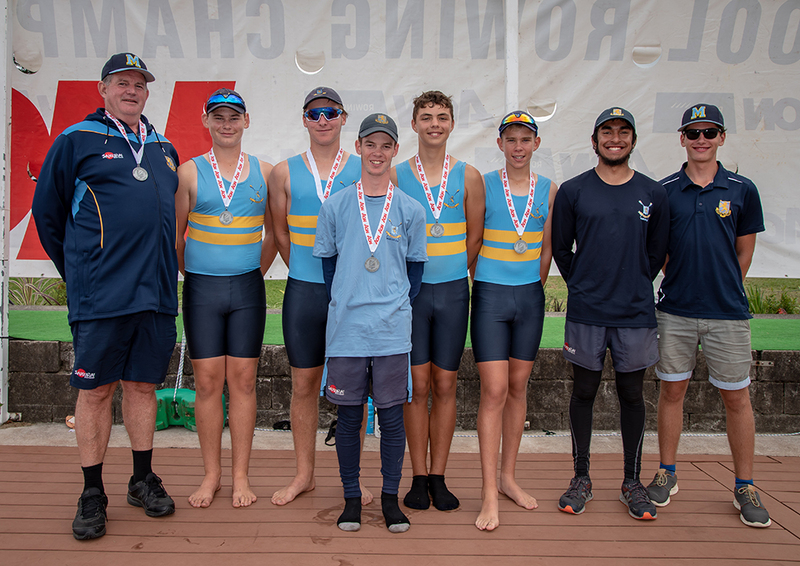 Silver medals went to the Boys Under 15 Coxed Four of Xavier Scarlett, Nicholas Bryan, Dylan Cottingham, Cam MacGillivray with cox Ben Campbell (pictured above). 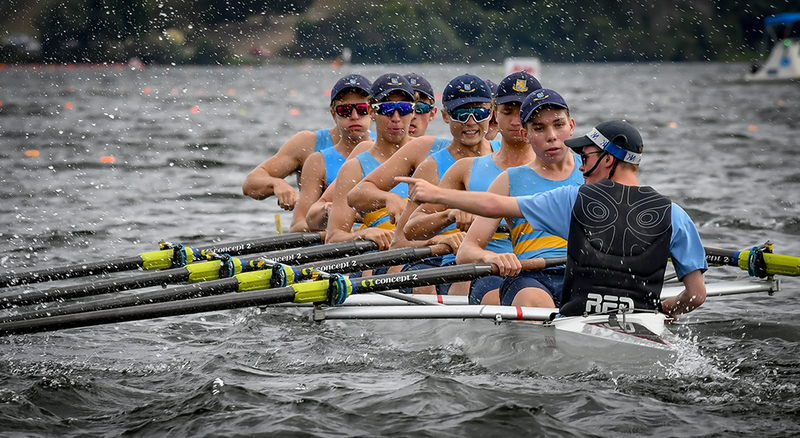 Coach John Cook said, “What was really impressive was that they were racing against other school crews who had second year rowers in their boats.” Being first year rowers, this crew got better and better as the season went on, winning their heat impressively on the Tuesday and culminating in a strong race in the Saturday final to finish second in the country. 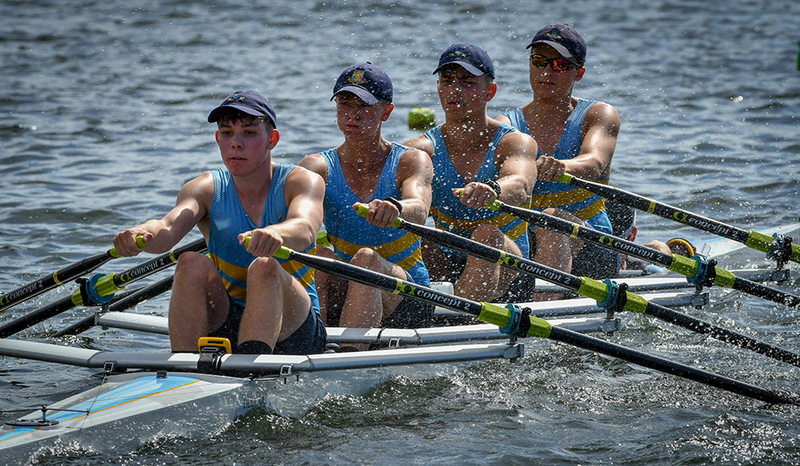 They also combined with four other boys to finish 7th in the Novice Boys 8 final. 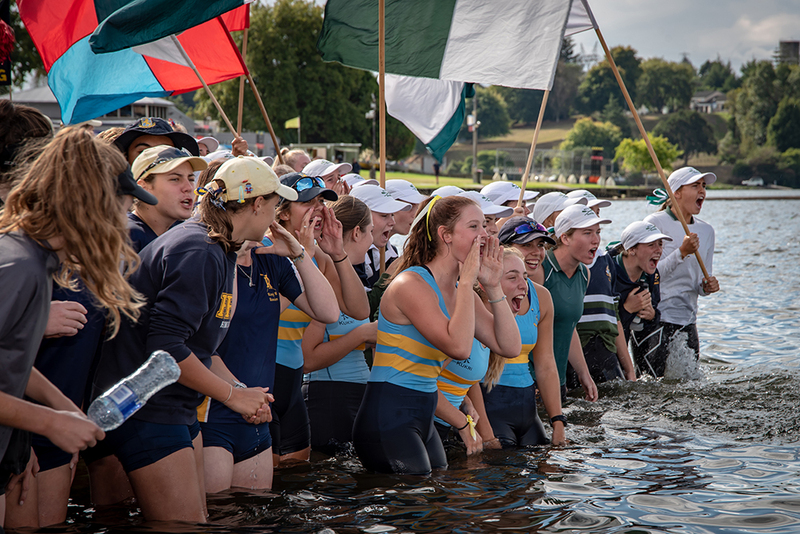 The Novice Girls, after a strong season, had some injuries and performed very credibly in A finals in both the eight and the four. 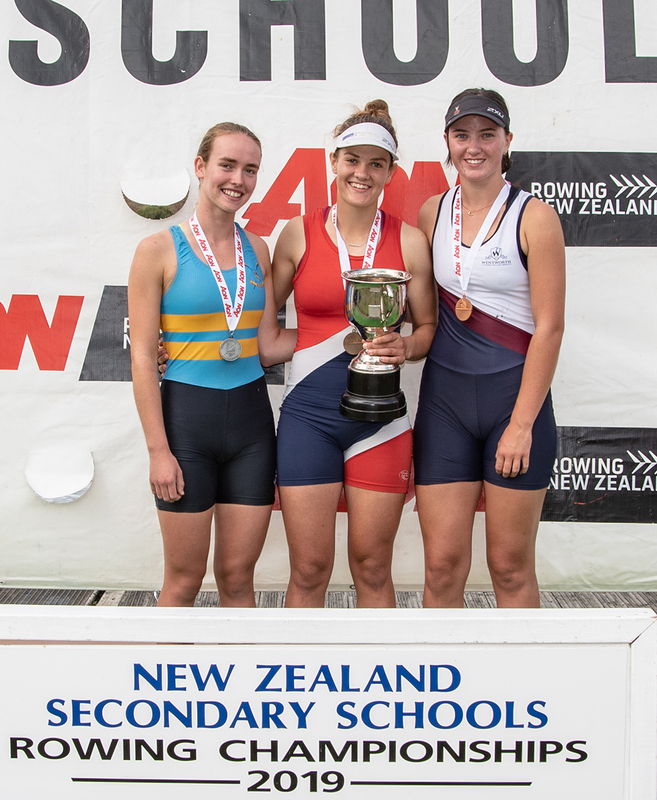 The other Silver medal went to Holly Chaafe in the Girls U17 single sculls. 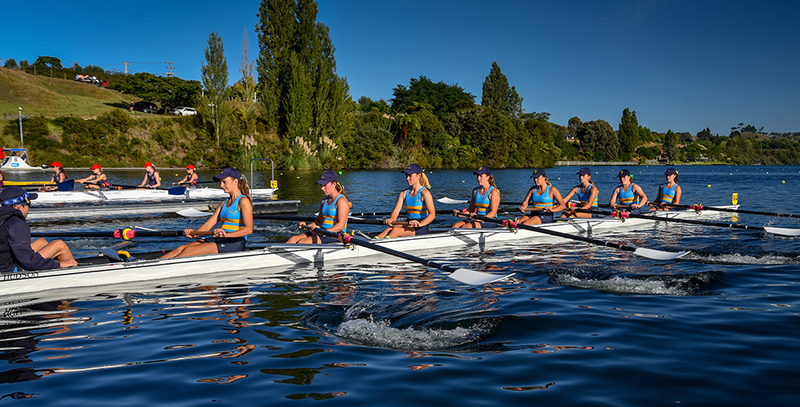 Here she had to fight extremely hard to beat very tough competition from 72 other girls from schools across the country. 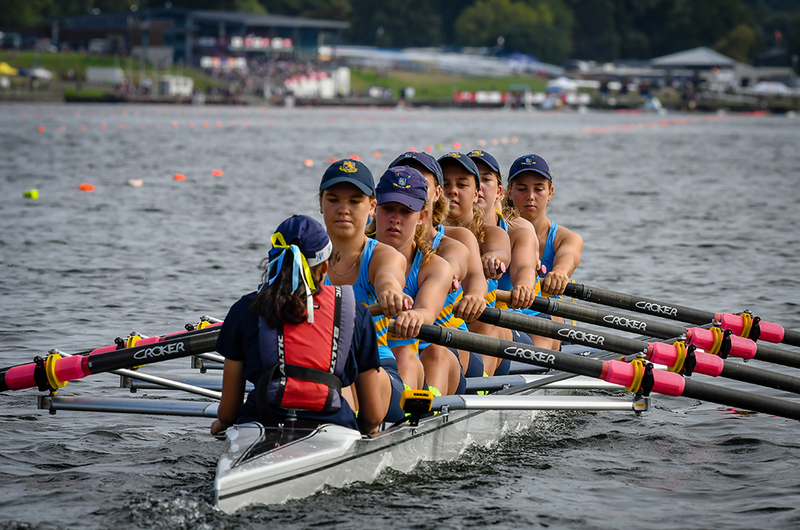 Holly also combined with Marieke Richards to finish fourth in the U17 Girls Double Sculls. 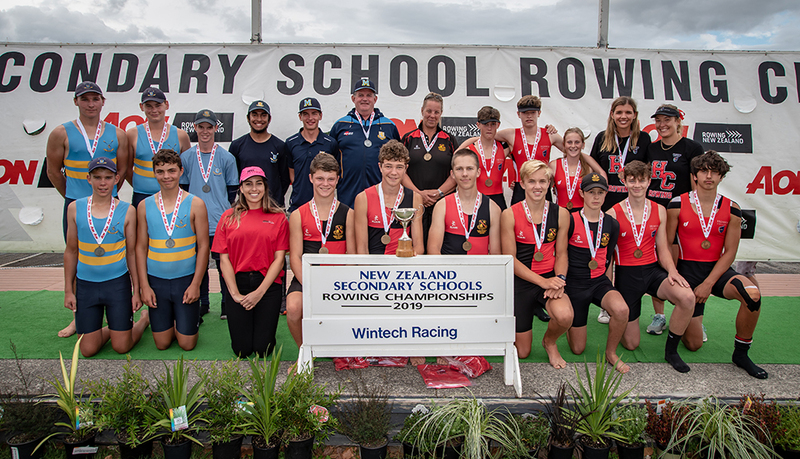 Holly, once again, has been selected to trial for the North Island U18 team, where she was the North Island U18 rep in the single last year, for the North v South competition that will take place in the first week of the upcoming school holidays.